Sergey Novikov seems to defy gravity in his straps act "Opposition"The young artist from Ukraine skillfully combines power and elegance with full risk. 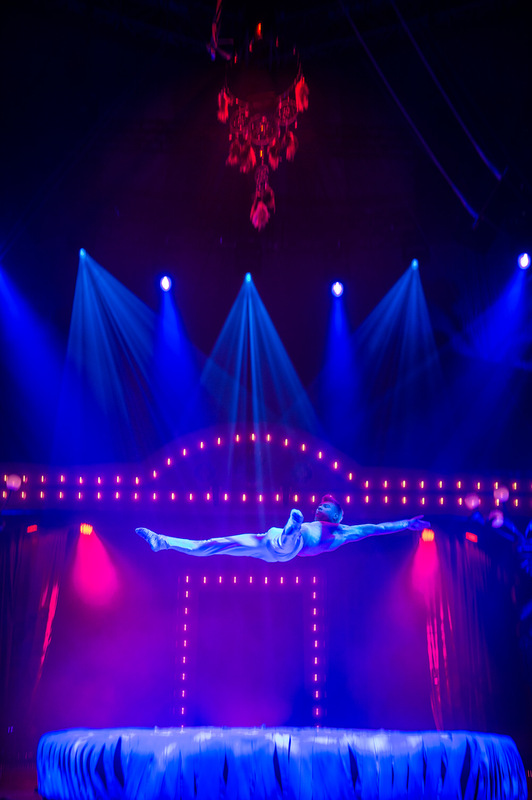 The daredevil aerial performans is an interplay of sophisticated acrobatics and spectacular falls into the depth, which are legendary already. The rises and falls of Sergey Novikov, reflect the ups and downs of life, so every spectator interprets the performance individually. The extraordinary straps act was created in 2010/2011 in Kiev (Ukraine) and was introduced to the circus world in June 2011 at the 1st International Circus Festival "Golden trick".